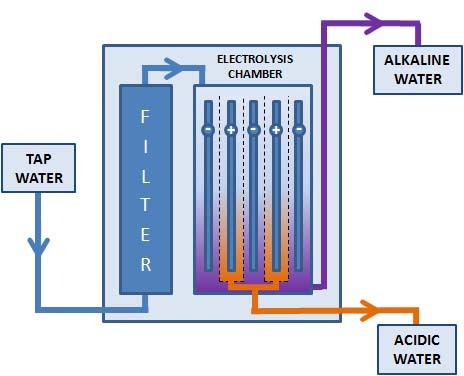 A water ionizer is a small kitchen appliance that separates tap water into two separate streams - one alkaline and one acidic - through a process called electrolysis. 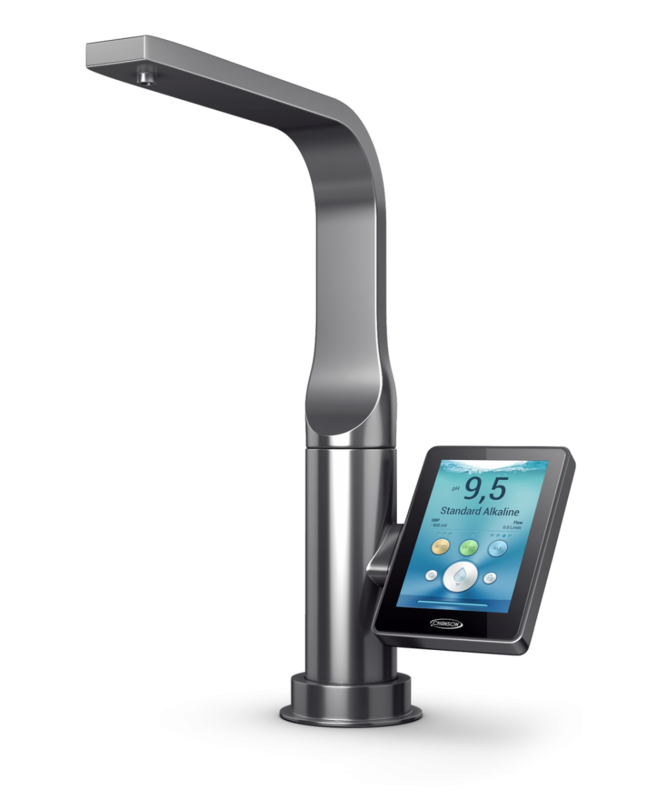 Ionizers can either be installed on the counter next to the kitchen sink or under the counter with only a special faucet visible above the counter. Ionization breaks the bond between the oxygen and hydrogen atoms of a water molecule [H2O] and produces alkaline water full of hydroxyl ions [OH-] and and acid water full of hydrogen ions [H+]. 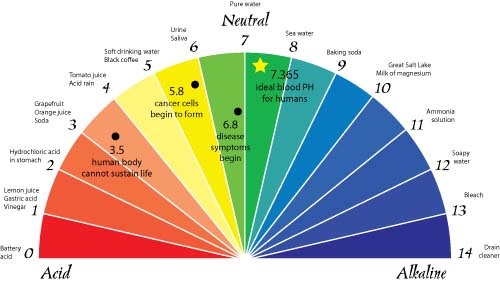 The pH scale measures how acidic or alkaline a substance is. It ranges from 0 to 14. A pH of 7 is neutral, a pH less than 7 is acidic, and a pH greater than 7 is alkaline (or basic). ORP, or oxidation reduction potential, measures a substance's ability to oxidize or reduce molecules around it, or in other words, it's potential to steal or donate electrons. pH and ORP are key concepts to understand ionization and the important health benefits of alkaline ionized water. Water is essential for life. No living being on planet Earth can survive without it. In fact, about 70 to 90 percent of all organic matter is composed of water. Water not only provides the medium to make life sustaining chemical reactions possible, but water itself is often an important reactant or product of these reactions. In short, the chemistry of life is water chemistry. 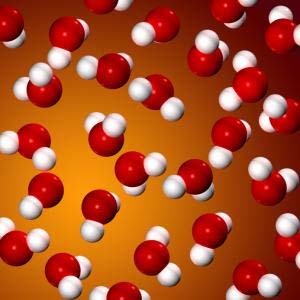 This section provides some basic concepts that help to understand the chemistry of water and the science behind water ionization at the molecular level.